You NEED a system like this if you run a boosted engine and are not perfect about running out of gas/driving soft when you are low. As a secondary advantage you can use ALL the fuel in the tank like this because the lift pump scavenges the dregs from the main tank while you use it up out of the surge tank. 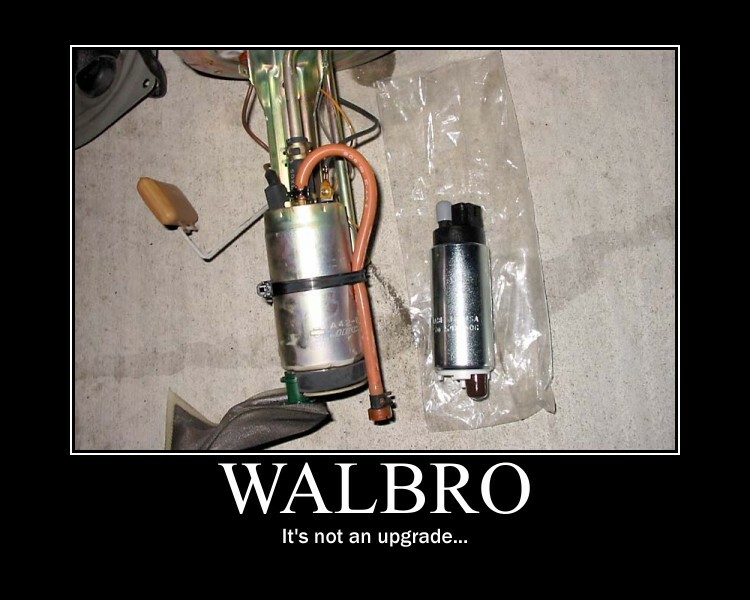 There is text in the picture that explains most stuff that one needs to know when doing an upgrade like this. Obviously the hoses and hard lines to and from various components should be sized according to the flow through them to ensure no restriction to the flow occurs. It's important to realise a few things. When the engine is stopped or idling, the entire volume of the main "to rail" pump is flowing through the regulator and back to the tank. thus the return line needs to be sized such that the full flow of the pump doesnt generate more pressure by restriction than the regulator is trying to achieve. the main line should be sized to drop no pressure at the full flow of the pump. the less pressure dropped across the main line, the less hard the pump has to work to produce the final pressure at the rail. If for example your main line fwd was so small as to drop 15psi at the full flow of the main pump, and you wanted a base pressure of 50psi, and a boost pressure of 25psi, the total that the pump sees is 90psi. thats hard work, and a walbro might well pack up and go home if it has to work under those conditions very much. if on the other hand you have no restriction going fwd, your pump will only be pusing 75psi, much much easier for it. When testing my fuel pump setup i had the return from the reg plumbed out through a hole in the front panel into a bucket, and had the regulator wide open. i turned the system on, and with the hose squirting fuel horizontally increased the rail pressure more and more until i got to 110psi. then i chickened out. 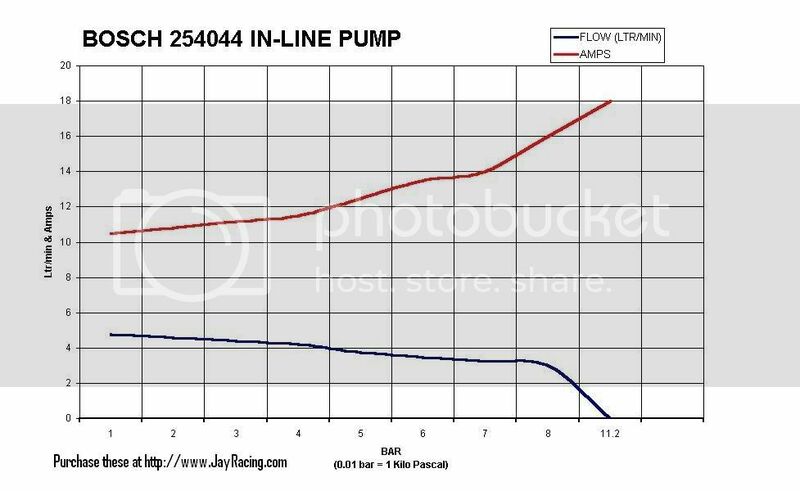 my 044 pump did not reduce its output at all from no psi to that level. and that is why i chose it. under the same conditions, the walbros flow has been significantly reduced by the time high pressures like 80 or 90 are reached. 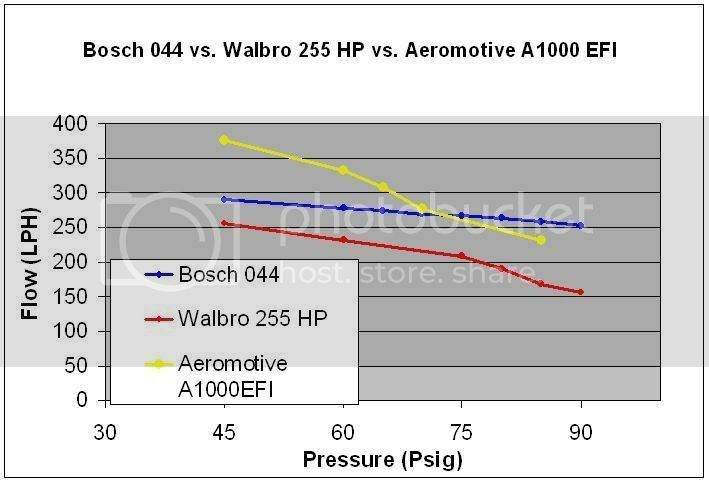 the walbros ratings are not at a high load, and as such will make the hp that they claim on a naturally aspirated engine, but will struggle to do the same without leaning out on a high boost application. A 2 litre surge tank will supply a 400hp engine for about a minute. Narrow and tall are ideal. I would want it at least twice as high as it is wide. 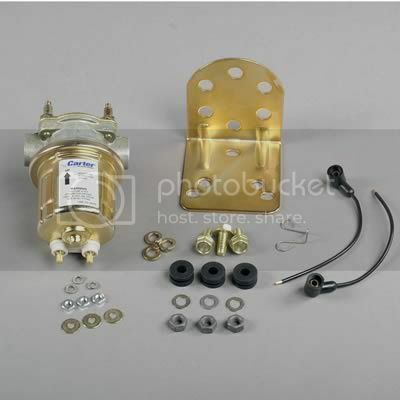 The fuel filter can go anywhere you like. For maximum protection and safety, I would(and did) place it between the tank and lift pump such that A all fuel is cleaned before seeing a pump, B main pump flow is totally unrestricted. In order for it to work well on the suction side, you need a large filter. I could not find a decent filter for cars, so I went with a marine screw on job. As a fix for this, a float switch in the top of the surge tank that kills power to the lift pump and lights up your dash would be a desireable feature to add to a system such as this if you think that you are A a soft granny and B forgetful enough to let it go low enough to run out. Such a light would make a nice accurate "get gas NOW" light too. As stated in the above post, your 2 litres of fuel will last about 1 minute with 400hp being developed, however, if you are putterring around you could easily be making less than 50 and cause the pump to run dry or dryish for as much as 10 minutes. 1 minute would probably be OK, but 10 will probably NOT be OK. Thanks to Gaz for pointing that out. They push out plenty of fuel to make plenty of power and don't draw as much current and don't make as much noise and don't heat the fuel as much and don't die quickly when starved of fuel etc etc. A far better choice than what I previously made. The common model is the 4070. I'll be switching over at some point, I suggest you start off with something more appropriate like this in the first place. This is approximately what the LP (Lift Pump) looks like as installed at the driver-side rear area of the Cummins in our trucks. 3 bolts attach the pump to a bracket on the engine, there is an in and out fuel line, and either a plug for power attachment to power the pump like this one, or on older styles, the wiring was attached to posts on the bottom of the motor. That style was eventually discontinued due to salt and other contaminents damaging connections and causing LP failures. Below we see the internals of the actual pump section with the cover removed. You can see the vanes - this is a vane-type pump, and the rotor that holds them as they rotate inside the walls of the pump housing. 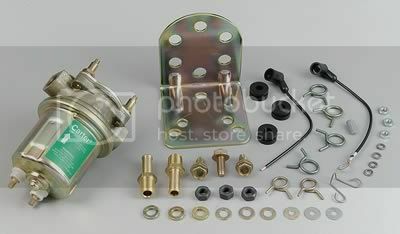 This is the ONLY part of the pump that can be disassembled for any sort of cleaning or service. Here below, is a closer look at the disassembled pump rotor, with the vanes laying in front - those vanes simply float in their respective slots, and press against the walls of the pump by the rotational force of the pump rotor. Occasionally, those vanes might become sticky and not float freely in their slots, reducing or stopping fuel flow. Inside the pump housing can be seen the end of the pump motor shaft with the milled end that engages the matching slot of the nylon insert pressed into the pump rotor. 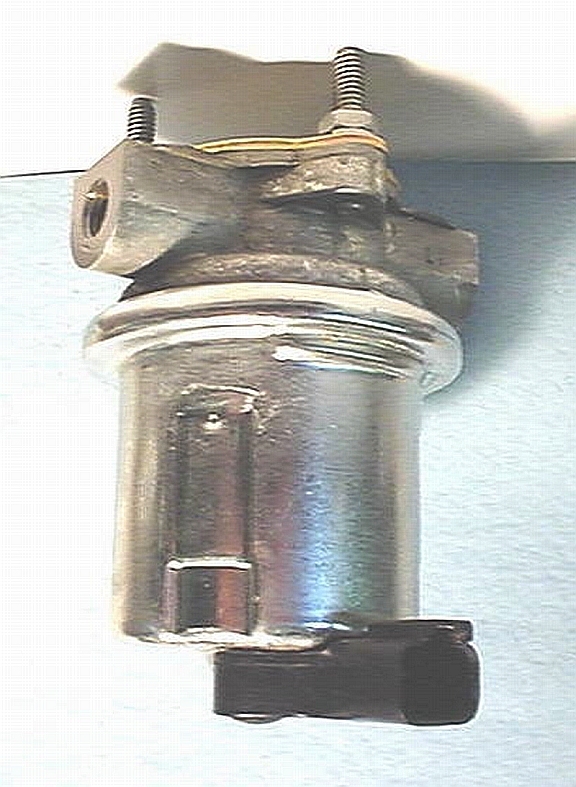 Occasionally, the nylon shaft coupling will fail, and fuel flow will stop, even though the motor will still spin. No known means or replacements are available to replace a damaged one - so the pump usually must be replaced when this occurs. Below, we see the disassembled motor section on the left, next to the pump section on the right - as previously mentioned, the only way to disassemble the motor is to cut it open, which totally destroys it for further use. 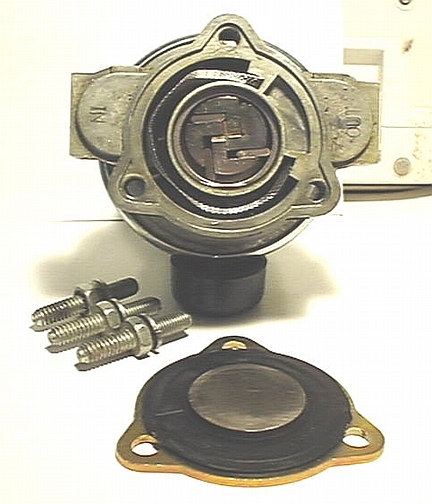 In the housing seen above the motor armature, on the left side, is the spring-loaded ball check valve used to regulate fuel pressure. This is a VERY common failure point, when either the spring fails, or the ball beats the seat out of the housing, allowing fuel to merely circulate between the pump and motor, with none or little actually getting to the VP-44 injection pump. And as can be seen fuel actually does flow thru the motor as well as the pump inself in normal operation. Here's a closeup shot down the inside of the motor, showing the bottom bearing and the green circuit board with electronics to eliminate static radiation in normal operation - also note the excellent condition of the brushes and other components. This pump had 110,000 miles on it when removed from service, and that only as a maintenance procedure, since it was still operating perfectly! SO, there you have the anatomy of a LP, how it works, and some of the more common failure points! Some additional issues as they apply to the stock LP. I have personally had *2* instances where the power plug to the LP became erratic, or lost connection completely, causing the engine to nearly die of fuel starvation - all that was needed to correct the situation, was to re-seat the power plug, and normal LP operation was restored. A second area to keep watch on, is the push-on type hose connections to/from the LP - they have been noted for air leakage, especially after a LP has been changed and the original factory seal broken. Added to this, is the occasional tendency for fuel line splits, often right down inside the fuel tank where they can't be seen - those breaks usually reveal themselves when poor truck operation regularly occurs when the fuel level gets down to a point below where the line is split and leaking. And finally, one of the best upgrades to the stock LP. 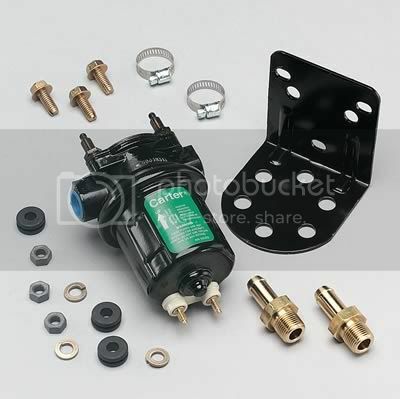 is the addition of what is referred to as a "Pusher" pump - usually a Carter 4600 pump nearly identical in appearance to the stock LP - which is also a Carter item. 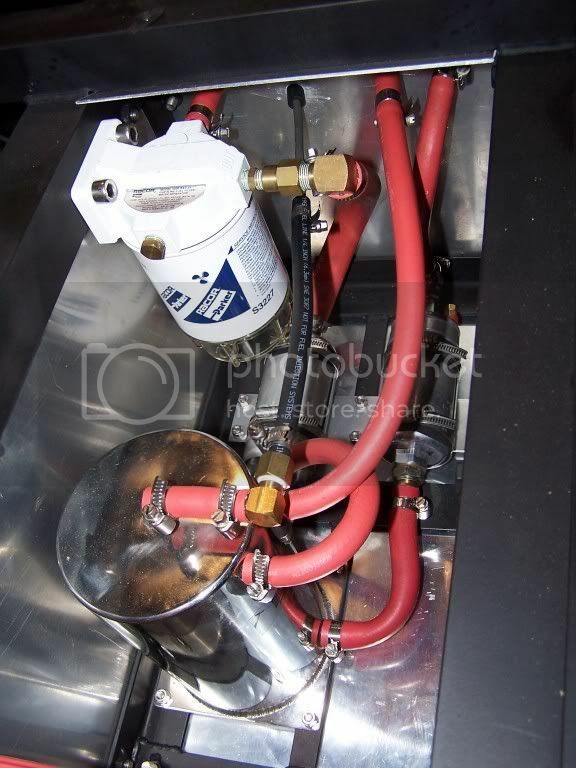 The added pusher pump enhances and assists operation of the stock LP, and is especially beneficial when power mods to the Cummins are added, and require a more abundant and reliable fuel flow.